An outfit is never fully complete without accessories as they provide that finishing touch that gets you from looking good to looking perfect. Men only need a select few accessories to get them by through their day to day endeavour so TheTrendSpotter has put together the top 5 accessories every man should have in their wardrobe. This should be an obvious one, but if you don’t own any tie or bow tie then you’re in need of dire help. While many men wear suits or tuxedos without a tie or a bow tie, we believe this is fashion sacrilege, as these accessories are the simplest way to complete an outfit without looking overdone or too try-hard. Not only do they provide you with a classy feel, but the sophisticated look also shows to others that you take great pride in how you dress, and as a result, people will respect you that much for it. 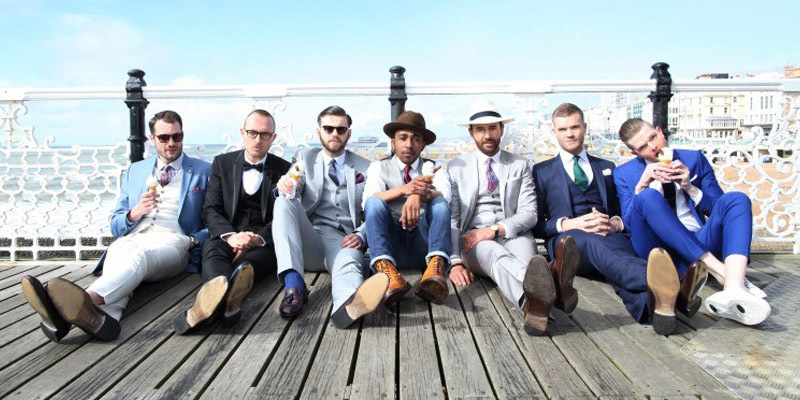 It’s really up to you as to what accessory you prefer, but if you need a nudge in the right direction we recommend having ties for work and bow ties for formal partying. As we all know, time is very important. It keeps you organised and on track with all of your schedules. What we love the most about them is that they have the perfect balance between practicality and fashion. In fact, go to any jewellry shop and we guarantee that you’ll see a plethora of them on display. However, due to their wide range, picking the right watch isn’t as simple as it sounds. 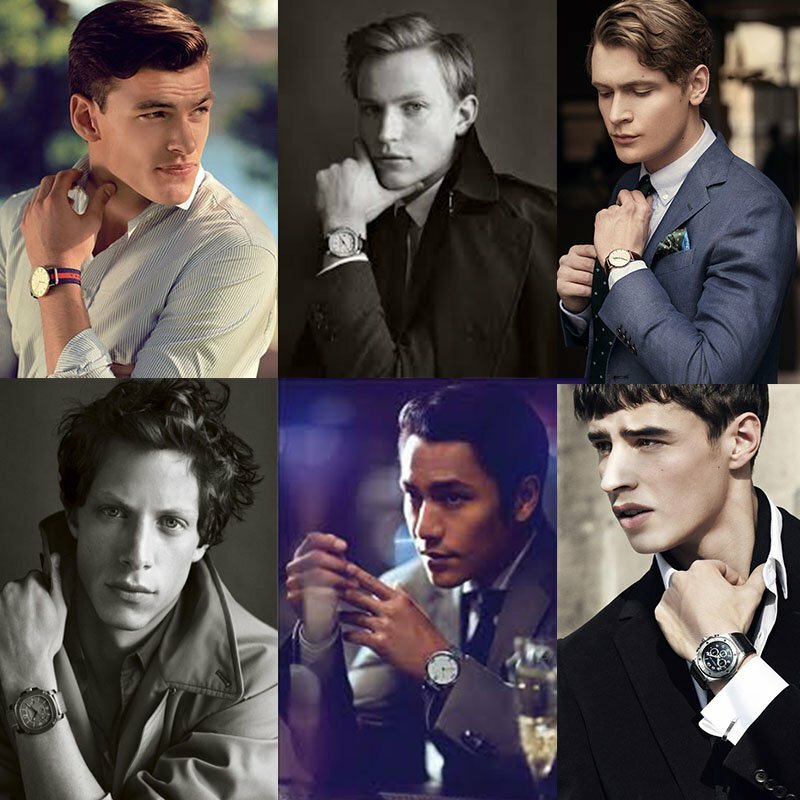 For example, if you wear a sports watch with a suit expect a lot of peculiar looks from your friends and family. With that said, you should have more than one and each of them should be rotated on a seasonal basis. What we mean is that watches with a leather strap are more likely to get sticky and sweaty during summer months, so opt for canvas strapped watches and keep the leather for winter. Metallic watches should be reserved for business or formal occasions. Out of all affairs though, casual is where you really get to have free reign. Want to wear a red or green watch? Go for it! Fancy a watch with a big face? By all means! At the end of the day, it’s really down to personal preference, but we recommend following this guide so you don’t look like a deer in headlights. Fashion is very fast moving in terms of how much it progresses as times goes by, and nowadays wearing socks on the outside or wearing high cuffed pants to show them off have become the new fashion norm. 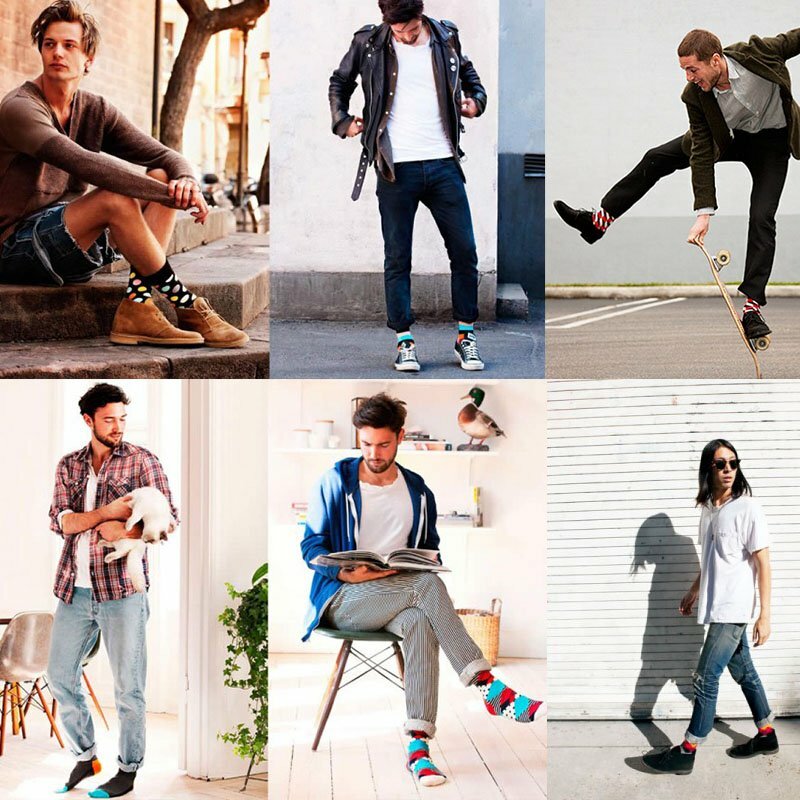 Because of this, the range of socks we get to choose from have vastly increased, with patterned, unique and eccentric sock designs staying strong in the market. Despite this evolution in the industry, it’s always good to have classic neutral coloured socks in your wardrobe arsenal. We’re talking plain block colours like black, grey and white as these three suit the most occasions. 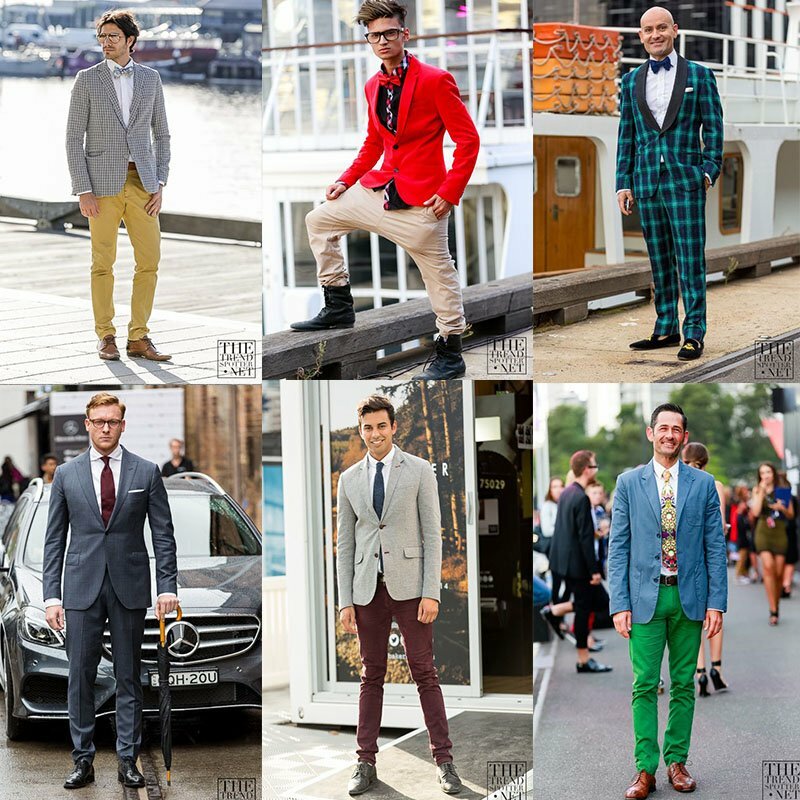 On the other hand, if you are ever interested in wearing high cuffed pants to display your socks in all of its glory, then go for something abstract and eye-catching. Experiment with colours like red, blue, even purple. Look into patterns that can complement your outfit and portray you as a quirky and unique individual. When it comes to socks, the world is your oyster. We cannot stress this enough – sunglasses are an essential. It’s a timeless trend in the fashion world, and in saying that you could say it become a signature piece – an accessory that everyone should have, whether you’re into fashion or not. Prioritise quality over quantity. What we mean is that while sunglasses can be extremely expensive, their stylish aesthetics can still give you a sophisticated, mysterious and professional look while masking that weekend haggard look after a wild night of drinking and partying. Our favourites are Tom Ford and Prada. Nobody ever looks good lugging around a whole bunch of items on their hands, it just makes you look clumsy and disorganised. Bags are the next best thing and the most powerful weapon in your wardrobe. 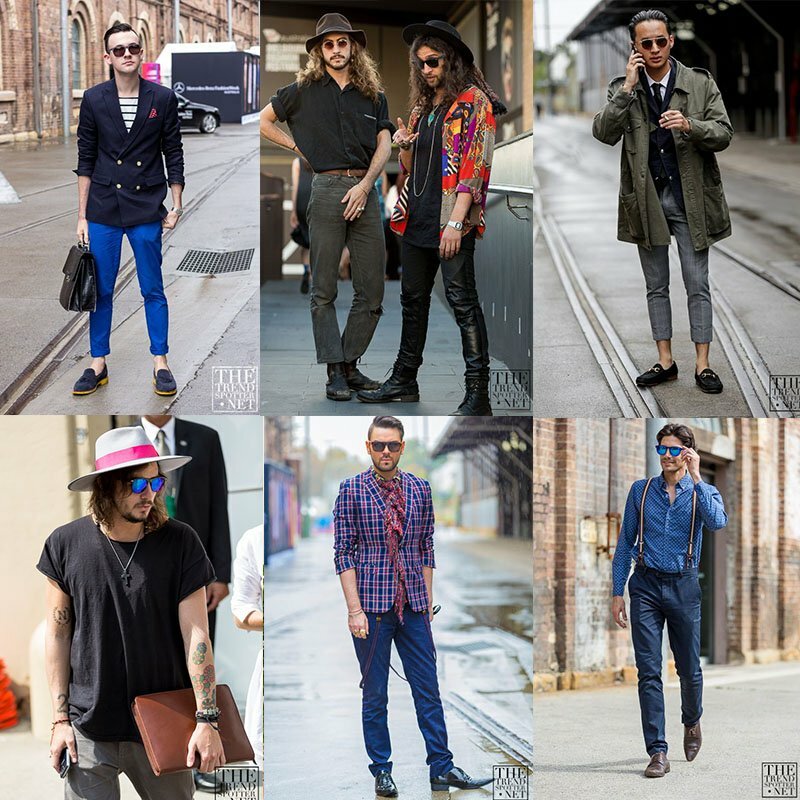 Lucky for men, this accessory trend has evolved so much that you have countless options to choose from. Backpacks are a common accessory especially when it comes to streetwear fashion, and while they used to be reserved for young children, fashion labels such as Marc Jacobs and Acne have made sure that this is a unique trend that is here to stay. Canvas backpacks have become increasingly popular lately, so if you’re more of a casual dresser we highly recommend investing in a backpack. Holdall bags are an item that has blazed through the fashion world – it’s literally a bag that can hold all. Fitting name, isn’t it? They are usually rectangular in shape and have a strong handle that is specifically designed to endure wear and tear no matter how heavy the bag is. 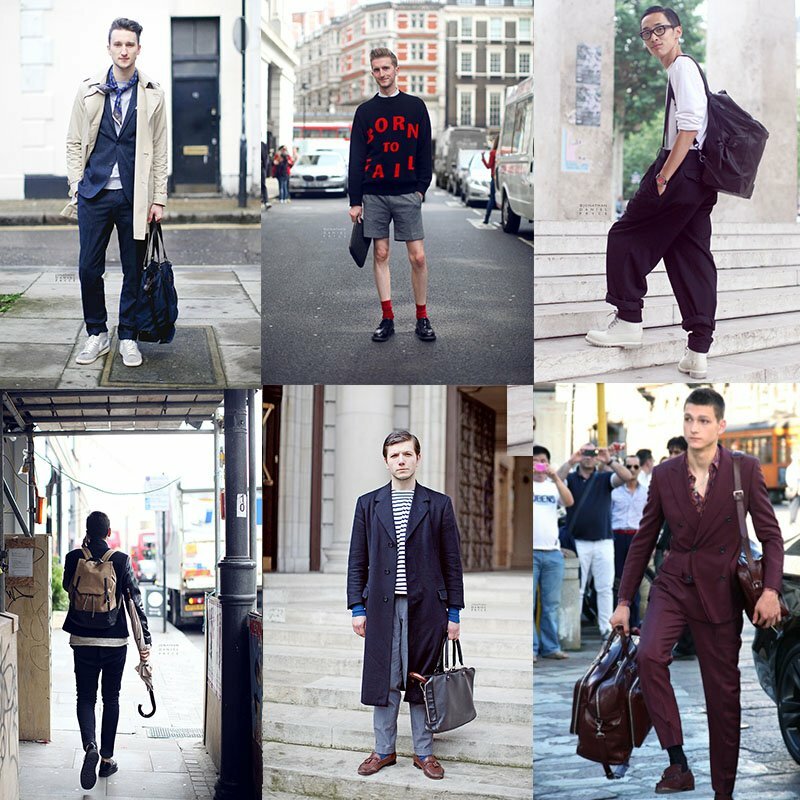 Our favourite holdall designs include Herschel, Asos and Vivienne Westwood. Folio bags is quite new to the scene but has been a rising star ever since its emergence. Think of it as a man’s version of a woman’s clutch, and the bag to bring when you don’t have much to bring with you. Available in a range of materials including canvas and leather, folio bags are designed to hold only the business essentials like important paperwork and pens. Folio bags are an excellent way to make a clean and clear statement about yourself and can complement any kind of occasion.